A threshold for the not co-existence constraint, like the threshold for the reponse and precedence constraints. 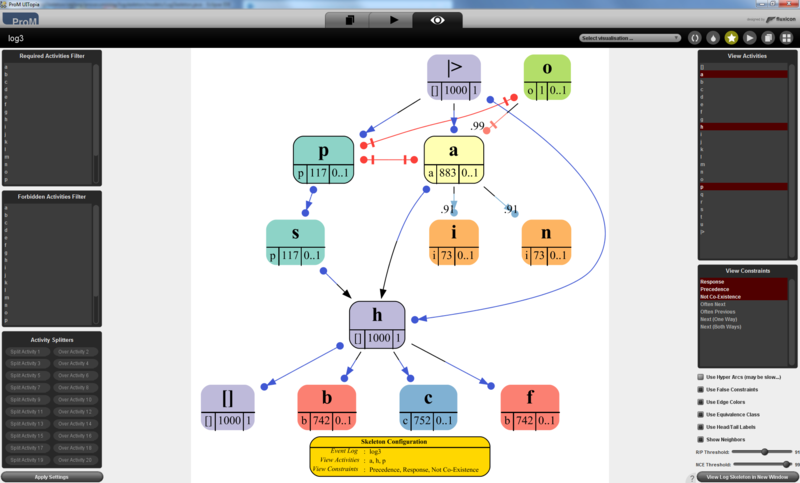 Uses blue for response and precedence constraints and red for not co-existence constraints. Fixed the import and export on the thresholds. In 99% of the occurrences of activity a, activity o does not occur. This makes sense, as activity o occurs only once, whereas activity a occurs 883 times in as many different traces. Hence, activity a occurs in 882 traces where activity o does not occur. 91 % of the occurrences of activities i and n are preceded by activity a.